I’m a little behind in getting it done, but it’s time for a snapshot post! 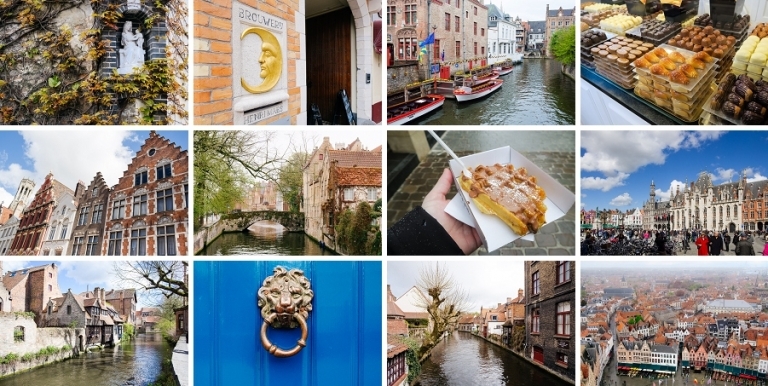 So without further ado, I’ll summarize our time this past April in the land of beer and chocolate with a Belgium snapshot! 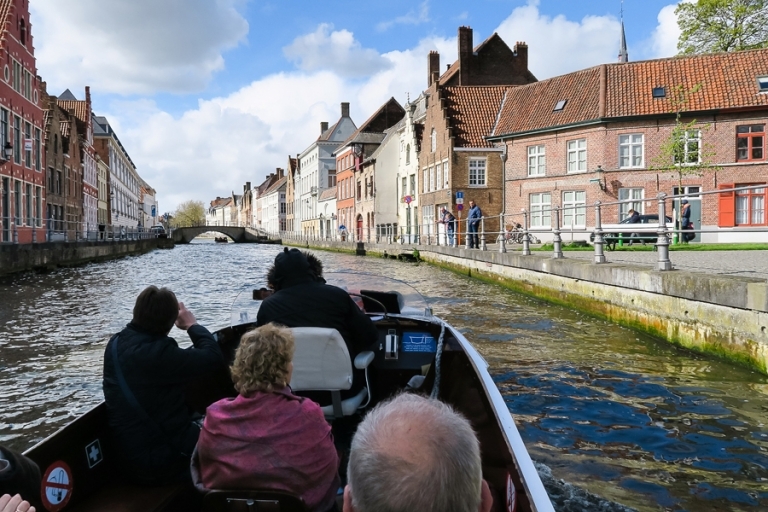 As cheesy as it sounds, I really enjoyed our little canal cruise around Bruges. On a day that treated us only to pockets of clear skies, we managed to hop on the boat at the perfect time for a brief pause in the rain. The skies turned momentarily blue, and it allowed us to appreciate our tour of the city’s sights via water. We also loved our tour of De Halve Maan Brouwerij, but I’ll have more on that in a separate post soon! 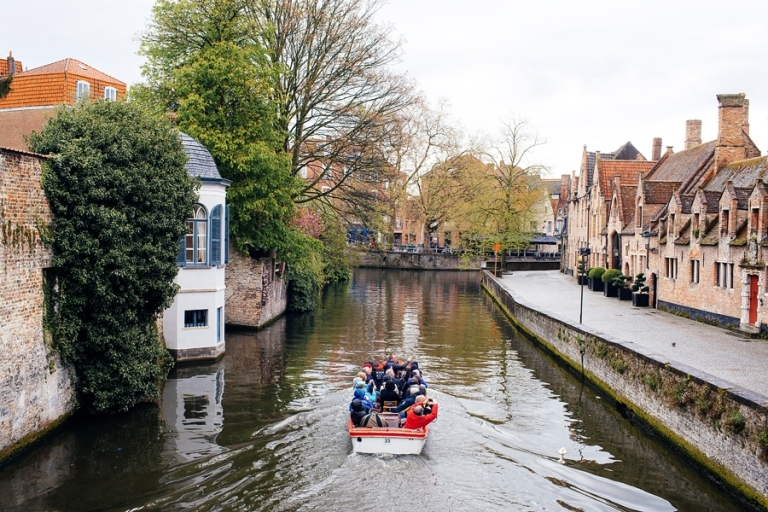 On our third morning in Bruges, we were signed up to do a walking tour of the more hidden parts of the city and we ended up being the only two participants in the tour. The forecast predicted some sprinkles, but we encountered an absolute downpour. Our super enthusiastic guide was too willing to keep touring despite my pleas to call it a day and end our private tour, so we stayed out (getting soaked) longer than I would have liked. I can handle the cold and I can handle a bit of rain, but when they’re combined I am a big baby and I get a bit whinier than Chris would prefer. We loved our dinners at Cambrinus (don’t miss out on their amazing cheese croquettes) and De Koetse where I tried (and enjoyed!) moules frites for the first time. But in the best-of category, both Chris and I couldn’t get enough of the Belgian waffles covered in real melted chocolate at Oyya. We ended up eating there twice. It wasn’t a meal, but it was definitely our favorite thing we ate in Belgium, and it was just the thing to brighten a gray, drizzly day. Umbrellas. 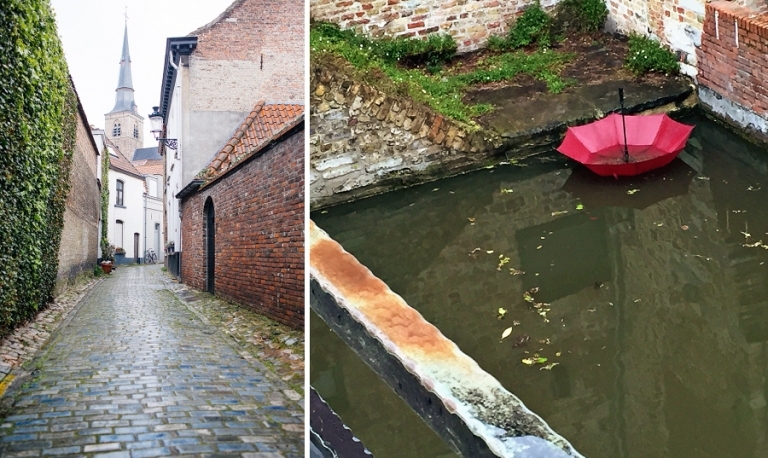 It rained quite a bit in Bruges, and it was a cold, sometimes even icy rain so we were glad to keep dry as much as possible (aside from that walking tour). Thankfully in between the rainy moments we did have periods of beautiful blue skies and sunshine, so I’ll still remember sweet Bruges quite fondly. Short-sleeve tops. It was so cold for our visit in late April that we needed to wear multiple layers all day every day. Brrr! I don’t think I actually have any regrets about our time in Belgium. I mean, I do regret that it was a little chillier than we expected and it rained about half of the time, but I’ve learned not to lament the weather during our travels too much (despite the fact that I’ve mentioned the weather at least a dozen times in this post alone). While I think we covered Bruges pretty well, I think we’d enjoy seeing Ghent and Antwerp sometime! Climbing to the top of the belfry rewarded us with some great birds-eye views and I love the results despite the wet weather. And then there’s this photo which is quite representative of our time in Belgium: eat all the waffles! Sam - All the waffles!